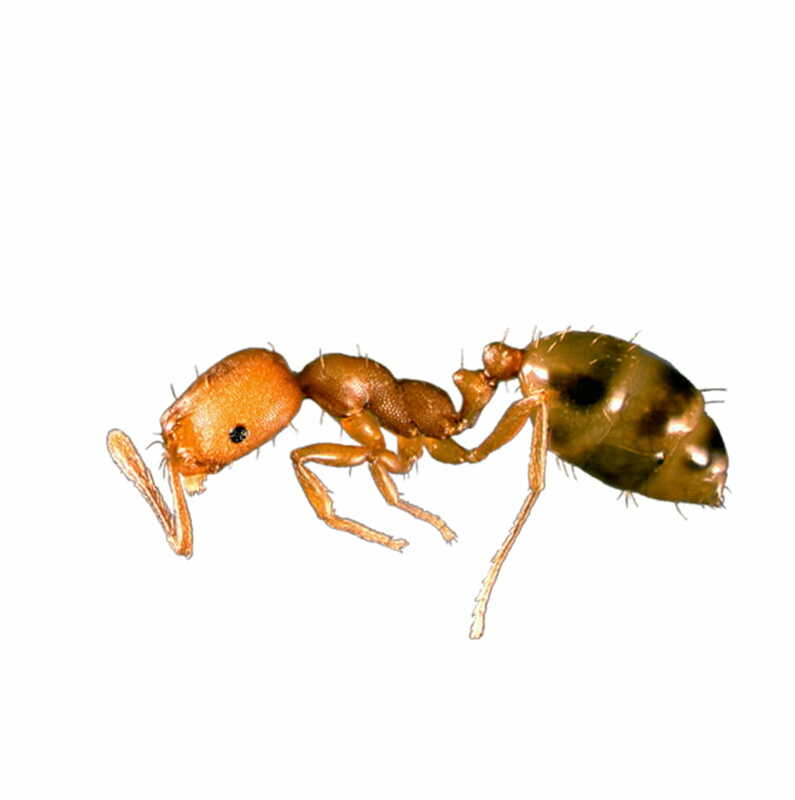 Since pharaoh ants are attracted to food such as sweets and meats, they can carry bacteria through food contamination. In hospitals, they have been found with more than a dozen pathogenic bacteria as they feed on and around wounds of patients and may carry disease germs from one patient to another. Pharaoh ants are attracted to food such as sweets and meats and can carry bacteria from one area to another. But at only 1.5 mm long, the small size of the pharaoh ant makes it difficult to see. 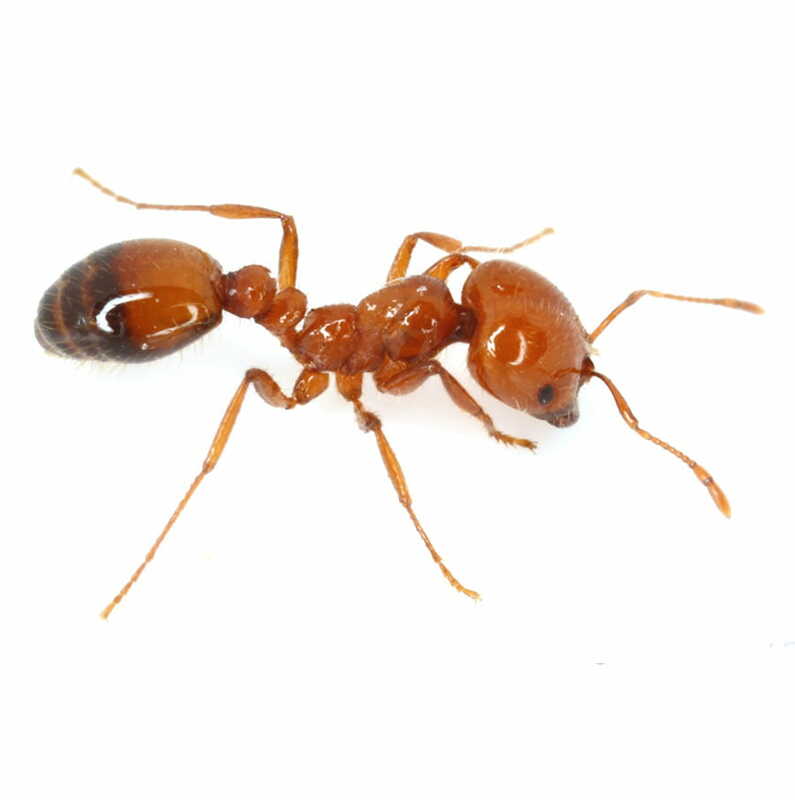 Pharaoh ants are yellow, light brown or red and measure 1.5 mm long. Their small size makes them difficult to see with visual inspection. Pharaoh ant nests are usually located near warm moist areas such around sinks, behind baseboards, in furniture, under floors and between linens. Pharaoh ants can grow from egg to adult within 38 days. Their colonies have multiple queens and when disturbed, they can easily migrate to start a new colony with one of the queens. Queen pharaoh ants live up to a year while male pharaoh ants live up to a few weeks. What do pharaoh ants eat? They eat a wide range of foods ranging from syrups to fruits, pies, meats and dead insects. Do pharaoh ants spread disease? Yes. Pharaoh ants are attracted to food such as sweets and meats and can carry bacteria from one area to another. 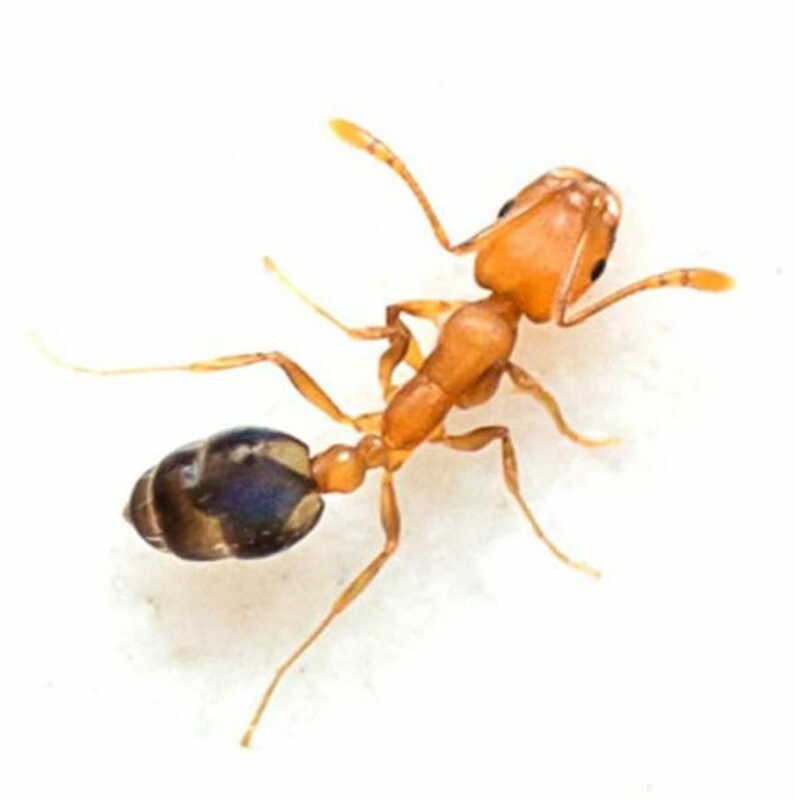 Are pharaoh ants difficult to control? Yes. Pharaoh ant colonies are very large and may contain thousands to several hundred-thousand ants. There are usually several hundred reproductive ants in these colonies, and if disturbed the colony may fragment "bud' to form several new nests. Care must be taken to ensure a thorough treatment is done so that budding doesn’t occur. What can I do to prevent an infestation of pharaoh ants? Good housekeeping practices such as keeping foods in sealed containers and areas free of food spillage and crumbs will help prevent ants. Sealing of cracks and crevices where the ants may live will be helpful.